The Moon doesn’t rise till an hour or more after twilight. 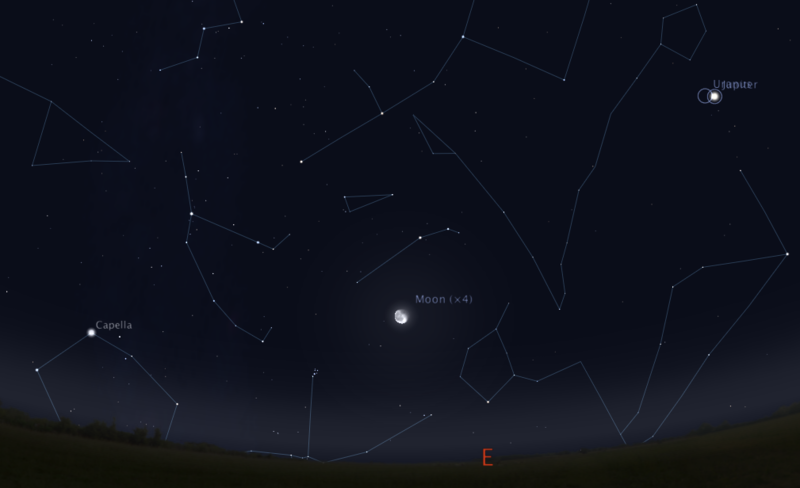 Tonight marks the last night the Moon spends in a rather barren part of the sky (aside from Jupiter). Tomorrow night things get interesting again. Don’t get me wrong. No part of the sky is truly boring. It’s just hard to find stuff when the Moon is within a few days of Full and bright. If the Moon were at only half Full there would be lots of nice double and colorful stars to see.